We are here with blog wordpress design sites designed.You think,you download free theme or design your wordpress blog.Most of the blogs are running on WordPress, and you can see a great variety of designs all over. From Magazine, Personal blogs to Food Blogs, there are lot of WordPress Themes available though, designing your own thinking into a WordPress theme is way better than using the Blog WordPress Design Themes directly. The WordPress Theme you are using should be unique, and should be a concept every element of which should have a purpose. You must have seen a a lot of Popular Blogs with Great Designs, like Mashable and TNW. I really like TNW Magazine Design as it is too flexible, custom and presents well organized content. Why have Custom Design ? Custom Designs, why you should have them. Firstly, it is like your blog’s identity, just as the cloths we wear in everyday life reveals out identity, our blog’s design creates your presence in professional designs, which definitely should be a custom design. Another solid reason behind this is Professionalism. Professional blogs, authority blogs have their custom designs, either they are tailored with basic frameworks or the whole new design that no other site have. I have seen blog wordpress designs which are heavily customized into magazines, directories. And I am showcasing some of these here to get you inspired. 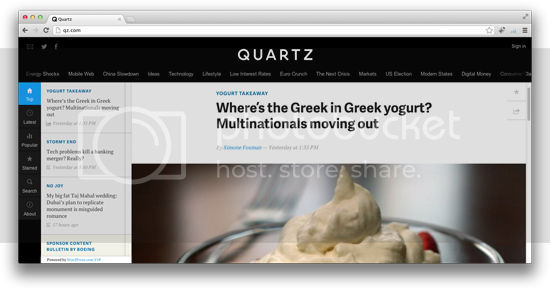 Created in 2012, Quartz is daily news based blog. I bet you either never had seen this layout, or have seen in very less blogs. The blog uses jQuery everywhere. The Typography is pretty good, using Georgia which is the best readable font. 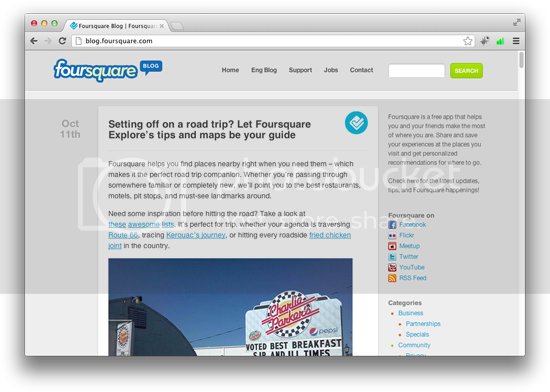 And yes, it is one of the best responsive blog design. 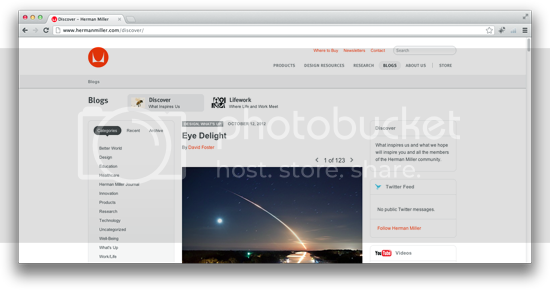 I liked the simplicity of the blog, minimal and easy to navigate wordpress blog design. Good use of 3-Columns, which we don’t see on much blogs. Color Combination is perfect with Light Orange, White and Black. Claims the Best Damn Blog on the Planet, and yes, it is. What a great Design is built on Thesis Theme Framework, all minimal. 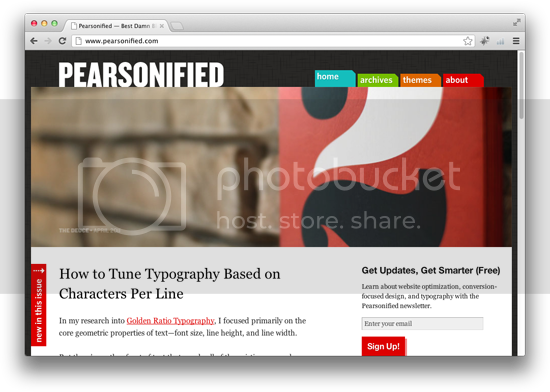 The No Sidebar pages of Pearson’s Blog is more like landing pages, without optin forms and all. The Blog has perfect Typography, nothing can be better than this. Loads up fast, and looks fresh everytime you open the blog. I am not showcasing because its Popular. Its really worth showcasing. The design is simple though clean and professional. Color Combo includes Dodger Blue, with White Backgrounds and Arial Font Typography.